For this series, I partnered with Buzz Hoot Roar, a team of scientists that run a “graphics-driven blog that shares and explains a scientific concept in 300 words or less.” They search for and write about interesting scientific subjects and then partner with artists to illustrate the concepts. 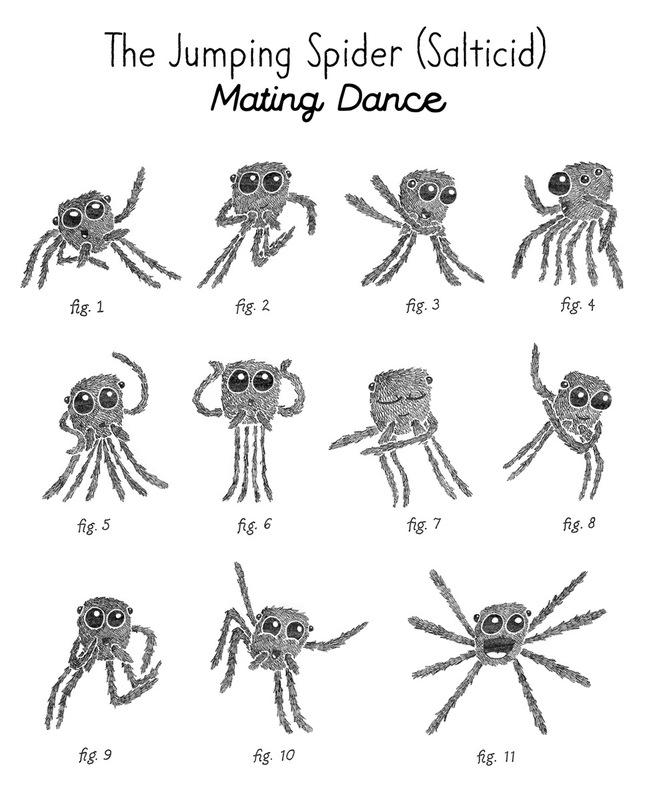 The post I was assigned was about the evolutionary mating rituals of jumping spiders. You can see the full post with context here.